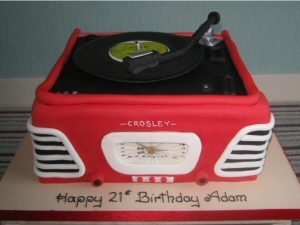 As each cake is unique to the customer, pricing is very much dependent on the amount of detail and the style requested. However, the figures below should help to provide a rough guide. They should be considered though, as "prices from...", rather than precise quotations. 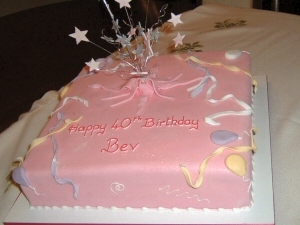 A basic 8" square cake or 7" round cake, iced and with simple decoration (say silk flowers, inscription and a little detailed decoration around the sides) would be approx £40. To upgrade a similar cake to handmade sugar paste flowers or perhaps a sketched picture on top would increase the price to approx £65. As a rule of thumb, a fruit cake would cost approx double the price of an identical sponge cake. Please note that when choosing a cake decorator to produce cupcakes for your event that you compare like with like. Many suppliers simply produce fairy cakes, whereas I much prefer to be more generous by ensuring that all my cupcakes are of 'muffin' size. With this in mind, you should allow £2.00 for each cupcake. There is an enormous variety in the styles of Wedding Cakes. Therefore, each potential order is quoted separately. Apart from the level of decoration and detail, prices depend on the number of tiers required and the type of cake required for each tier (fruit, plain sponge, chocolate, etc). Once I know the number of guests you are expecting, I can give you an indication of how many tiers you are likely to need. As a starting point, a basic 2-tier sponge wedding cake starts from £185 and a 3-tier from £285. This includes local delivery and setting up on site. However, it is only fair to point out that for that stunning centrepiece for a wedding / reception, many couples go far beyond that base figure. If it is a help, payment by instalments can be arranged at no additional cost. Whilst I always try to be reasonable with pricing, each cake I produce is custom designed for the customer and nothing custom designed can be compared with the prices of supermarket offerings. Cheap cakes offered by supermarkets are mass produced, use low quality ingredients and are loaded with additives to extend their shelf life. The cakes I create are designed individually for you, baked from scratch with fresh additive free ingredients and may take hours, days or even weeks to plan. Please do not be offended therefore that I cannot make your dream cake for £10 or less.